Originally published in Mothering Magazine, Fall 1992. Revised and updated in 2000. Click here for a four-page printable version for free distribution to parents. Copyright © 1992, 2000 by Aletha Solter. All rights reserved. No part of this article may be reproduced or transmitted in any form or by any means, electronic or mechanical (including copying to other web sites, and including translations), without written permission from Aletha Solter, with the exception of free distribution of printed copies to parents (please use the link above). As concerned parents and educators have become aware of the dangers of physical punishment, time-out has emerged as a popular disciplinary tool. Misbehaving children are told to sit quietly on a chair or go to their rooms to calm down and think about what they did. After a period of time, they are allowed to come back to the group or join the family, provided that they act "appropriately." The designated period of time is usually one minute per year of age, and children who leave the chair or room before their time is up are told to return for the full allotment once again. Some books recommend an added rule of silence, and suggest that the timing be repeated if the silence is broken. In either case, parents who use this method are promised quick and easy results. Time-out stems from the behaviorist movement based on the work of psychologist B.F. Skinner. His theory of operant conditioning asserts that children will behave in certain ways if they receive rewards for doing so ("positive reinforcement"), and that undesirable behavior can be diminished by withholding the rewards or by invoking pain (both of which are termed "punishment"). Skinner himself believed that all forms of punishment were unsuitable means of controlling children's behavior.1 Even so, while spanking is on the wane in the United States, the withholding of love and attention has persisted as an acceptable means of control. How does a child learn about the consequences of disobedience? Proponents of time-out advise parents to remove all privileges such as TV, toys, music, and so forth until compliance has been achieved. Always there is the threat of deprivation or further penalty. In some families there may even be an unspoken threat of violence. Although the method seems innocent enough, it requires a past history of punitive authoritarianism to produce children docile enough to obey. Proponents claim that time-out is not a form of punishment. They use terms such as "consequence," "renewal time," or "down time" to make the approach sound benign. The term "time-out" itself has pleasant connotations of a sports team taking a well-deserved break. Regrettably, this non-threatening terminology has deluded parents into thinking that the approach is harmless. From a child's point of view, time-out is definitely experienced as punishment. Who wants to be isolated from the group and totally ignored? It is quite likely that children view this form of isolation as abandonment and loss of love. And while parents are often careful to provide reassurances of their love and to distinguish between the child and the unruly behavior ("I love you, but you need to go to your room for five minutes because what you did is not acceptable"), their actions speak much louder than their words. Children under the age of seven simply do not have the capability to process words in the same way that adults do.3 Concrete experience and perceptions of reality impact more strongly than language. Being isolated and ignored is interpreted as "Nobody wants to be with me right now. Therefore I must be bad and unlovable," and no loving words, however well intended, can override this feeling of rejection. Nothing is more frightening for a child than the withdrawal of love. Along with the fear come insecurity, anxiety, confusion, anger, resentment, and low self-esteem. Time-out can also cause embarrassment and humiliation, especially when used in the presence of other children. In the child's realm of experience, time-out is nothing short of punitive. Painful feelings are one consideration; the information conveyed about human relationships is another. What message are we giving our children in demonstrating that love and attention are commodities to be doled out or withheld for purposes of controlling others? Is this a conflict-resolution skill that will be useful to them? How will it influence their ability to interact with friends, and some day with a spouse and coworkers? Wouldn't it be better to teach children useful conflict-resolution skills right from the start, rather than convey the message that the only way to solve conflicts is to cut off communication? Although the trouble with time-out is in large part invisible, one aspect is glaringly obvious: at some point it stops working. Proponents of the approach admit that it is effective only up until the age of about nine. Can you imagine telling your teenager, who may be taller than you, to sit in a chair while you ignore him? Teens who have any sense of their own self-worth will laugh at such a command. The adolescent version of time-out is the practice of "grounding" teenagers by not allowing them to go out on the weekends or in the evenings. But this method only leads to resentment, resistance, and deceit. Indeed, any method based on power and authoritarianism must eventually be abandoned, simply because parents run out of power.4 Parents of teens face an entirely new set of difficulties when their tried-and-true methods of control prove utterly ineffective. Parents who adopt non-authoritarian methods right from the start, on the other hand, are able to prevent the power struggles, as well as the discipline problems, that so often come with adolescence. An additional problem is that the use of time-out does not address the underlying cause of the "inappropriate behavior." Children act in specific ways for good reasons, even though the youngsters themselves may not be aware of them. Most undesirable behavior can be explained by one of three factors: the child is attempting to fulfill a legitimate need, the child lacks information or is too young to understand, or the child is feeling upset (frustrated, sad, scared, confused, jealous, or insecure). When we try to change a behavior without addressing these feelings and needs, we do not help our children very much at all. Why? Because the underlying problem will still be there. Teaching children to conform to our wishes does not resolve the deeper issues. Parents have been led to believe that children will use time-out to think about what they did and regain some modicum of self-control. In reality, when children act in inappropriate, aggressive, or obnoxious ways, they are often harboring such strong pent-up feelings that they are unable to think clearly about their actions. Far more helpful than isolation is an attentive listener who can encourage the expression of honest feelings. 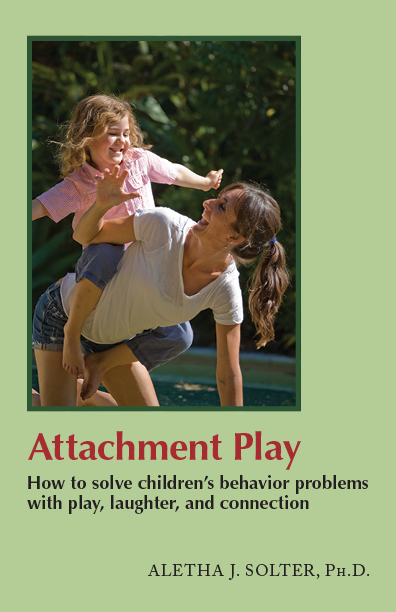 The healthy release provided by talking, crying, or raging may even prevent the recurrence of unwanted behavior. Holding children who hit or bite is much more effective than isolating them. Firm but loving holding creates safety and warmth while protecting other children from getting hurt. It also invites the expression of genuine feelings (through crying and raging) while reassuring the child of the indestructible parent-child bond.10 It is paradoxical, yet true: children are most in need of loving attention when they act least deserving of it. Telling a violent child to sit quietly rarely accomplishes anything constructive and only further contributes to the child's pent-up anger and feelings of alienation. It is not necessary to isolate children and withdraw our love to teach them how to "behave". 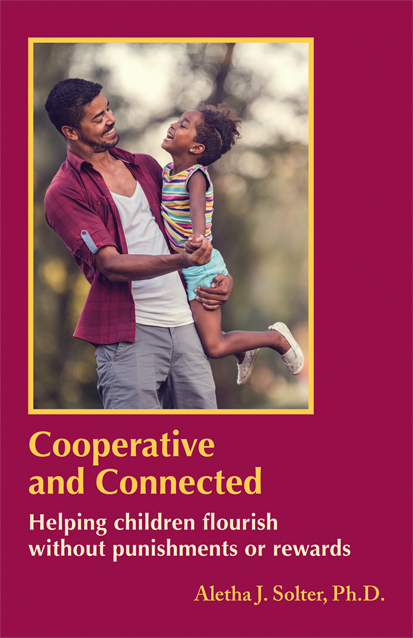 In fact, it is entirely possible to help children learn to be cooperative and decent members of society without ever issuing punishments, rewards, or artificial consequences of any kind. No quick and easy method will solve every conflict. Instead, we need to treat each situation as the unique challenge that it is, and try to be flexible and creative, all the while giving our children the love and respect they deserve. 5. Aletha J. Solter, The Aware Baby (Goleta, CA: Shining Star Press, 2001), pp. 39-41. 6. Aletha J. Solter, Helping Young Children Flourish (Goleta, CA: Shining Star Press, 1989), pp. 5-9. 7. Aletha J. Solter, Tears and Tantrums (Goleta, CA: Shining Star Press, 1998), pp. 13-32. Australian Association for Infant Mental Health (July 2009): Position Paper 3: Time Out. Link to article. Hyman, I.A. (1990). Child abusers' destructive use of 'time-out'. From Reading, Writing and the Hickory Stick, pp. 139-140, 12-13. Link to article. This page was last updated on October 29, 2018. Copyright © 1992 to 2018 by Aletha Solter. All rights reserved. No part of this article may be reproduced or transmitted in any form or by any means, electronic or mechanical (including copying to other web sites, and including translations), without written permission from Aletha Solter.